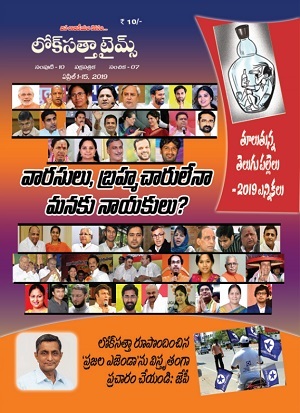 The Andhra Pradesh unit of the Loksatta Party today charged the Telugu Desam Government with going back on its word to overhaul the liquor policy keeping the interests of the poor in mind. The party’s AP Convener, Mr. D. V. V. S. Varma, recalled in a media statement that the Government had promised to study the liquor policy prevalent in States like Tamil Nadu, Kerala and Delhi and usher in a new policy. Instead, it has chosen to stick to the old lottery system for allocation of liquor shops. Mr. Varma said that the Government could have continued the old policy for three or six months if it felt it had no time to bring about changes. The Government should strive to restrict liquor consumption, instead of viewing it as a source of revenue. The Loksatta leader described the Government’s promise to abolish belt shops or illegal liquor vends as a mere eyewash. Past experience has eloquently demonstrated that belt shops are bound to proliferate so long as the liquor business is in private hands. Mr. Varma demanded that the Government take over the liquor business and run a limited number of shops with restricted timings. Panchayats, municipalities and women’s groups should be empowered to removet belt shops and clamp down on illicit liquor. The Government should open de-addiction centres and launch a campaign against the liquor menace. Mr. Varma said that continuation of the old liquor policy would ruin more and more families in the State. It is ridiculous that a Government which facilitates free flow of liquor claims to launch schemes for people’s welfare, he added. 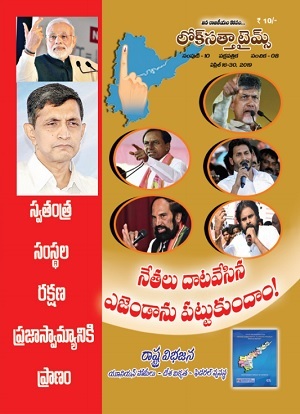 TDP manifesto included no such promise. Why expect others to implement your manifesto?